Precision Locksmiths carry a wide variety of padlocks from small letterbox locks to high security marine grade padlocks. Used to secure gratings, doors, gates, cupboards, tool boxes, cellar windows, sheds, switchboards, barriers etc. We specialize in commercial grade padlocks and high security padlocks. 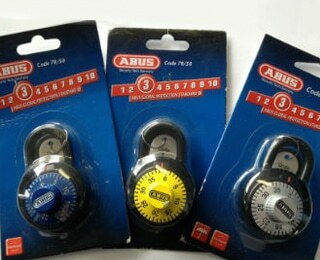 We carry Lockwood and Abus brands. 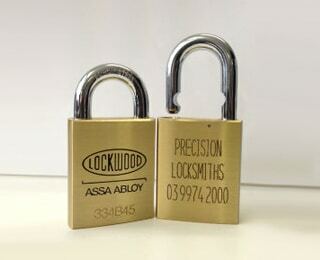 Padlocks can be keyed onto Power Industry cylinders, Restricted or Master key systems. We can post or courier out individual or bulk orders of padlocks. 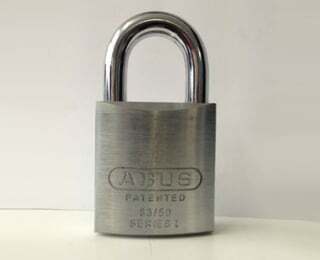 ABUS 83/55 series closed shackle padlock. Keyed to differ. Chrome plated hardened steel lock body. 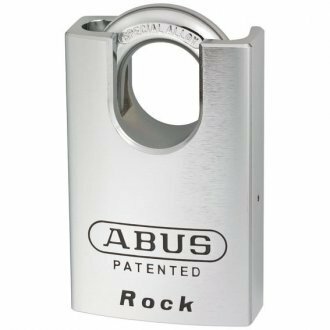 Special hardened alloy steel closed shackle with Nano-Protect™ as standard. Easily converted from snap shut to key captive function. Removable cylinder assembly for quick rekeying. Incorporates the popular 570 style barrel. Compatible with most restricted keying profiles. Wide range of shackles in different sizes.